ELIXIRIUM NATURA - FACE CLEANSING GEL. 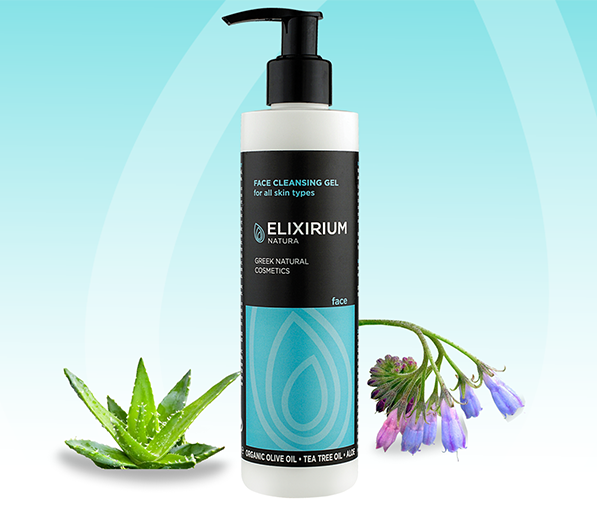 HomeElixirium NaturaFACEELIXIRIUM NATURA - FACE CLEANSING GEL. With organic olive oil & tea tree oil, aloe vera and allantoin. 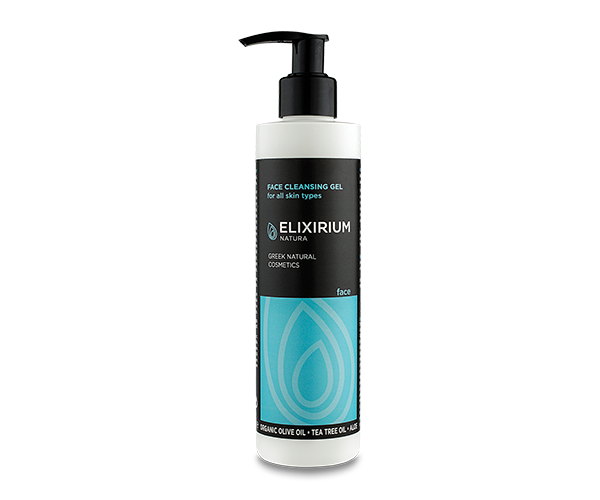 Foaming cleansing gel for daily use that thoroughly cleanses the skin from pollutants and sebum moisturizing while leaving sense of softness and freshness. With certified organic extracts and oils. Use: Apply to damp face and neck, massage gently and rinse thoroughly with water. For external use only. 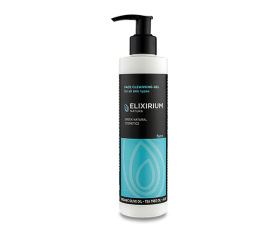 Συσταικά/Ingredients: Aqua, TEA-Lauryl Sulfate, Carbomer, Disodium Laureth Sulfosuccinate, Cocamidopropyl Betaine, Aloe Barbadensis (Aloe Vera) Leaf Juice, Sodium Lauroyl Sarcosinate, PEG-7 Glyceryl Cocoate, Phenoxyethanol, Potassium Hydroxide, Olea Europaea (Olive) Fruit Oil, Salicylic Acid, Benzyl Alcohol, Parfum (Fragrance), Glycerin, Butylene Glycol, Benzoic Acid, Saponaria Officinalis (Soapwort) Leaf Extract, 2-bromo-2-nitropropane-1,3-diol, Dehydroacetic Acid, Melaleuca Alternifolia (Tea Tree) Leaf Oil, Bisabolol, Allantoin, Panthenol, Benzyl Salicylate, Linalool, Citronellol, Hexyl Cinnamal, Alpa-Isomethyl Ionone, CI 42090, CI 19140, CI 42051.